Observation - heath spotted-orchid - UK and Ireland. 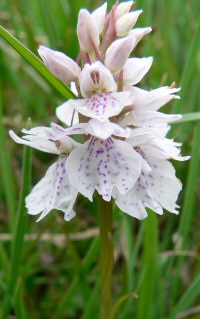 Description: This plant is native to the Western Isles and is a sub-species of the Common Spotted Orchid. Photo copyright to http://www.thewesternisles.co.uk/wildflowers/heath-spotted-orchid.htm where there is lots more information about Hebridean wildflowers too! This plant is native to the Western Isles and is a sub-species of the Common Spotted Orchid. Photo copyright to http://www.thewesternisles.co.uk/wildflowers/heath-spotted-orchid.htm where there is lots more information about Hebridean wildflowers too!